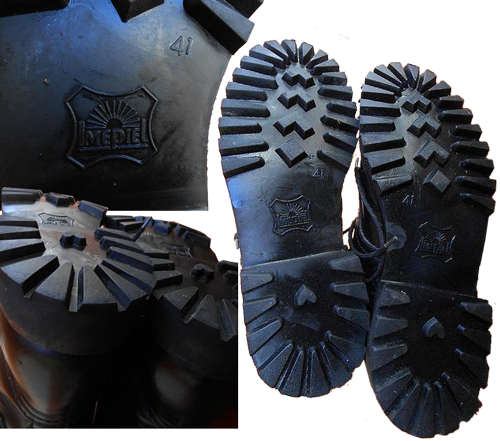 The Spanish version of the BMJA-65 boots feature the following information: size and width in European metrics (39/7) and Mondopoint (245/97), and the Contract data. I can suppose that this kind of boots were manufactured on Spanish manufacturing sites, equipped with SAMCA (footwear assembly automated system), which is being developed withing the EUREKA-FAMOS EU-285 project. The project was developed by a French-Spanish partnership, where the Spanish side was represented by research institutes INESCOP and DISAM, together with footwear manufacturing companies IMEPIEL and MERQUINSA. The main feature of the proposed assembly system, in contrast to the previously used hand-made technologies, was that parts remained fixed on pallets during the process, which are placed, by means of transport system, into different machines and robots, in order to perform automatically several operations, which were carried out manually before that. SAMCA system had to be modular, in order to be installed in different stages in medium and small sized factories, and intelligent enough to allow the input of components made by different subcontractors, which could have acceptable deviations from the standard. The French influence can be obviously seen in some other boots of the Spanish Armed forces. The photos above show Spanish "paracaidista" high leather boots with 12 pairs of simple round eye-lets manufactured by Iturri. They feature very interesting out-sole tread pattern resembling the ones of the famous French BMJA Mle 52 "Rangers Marrons". The sole is stitched and glued to the boot's top just in the same way at it used to be in that old French boots. Also there were Spanish double-buckle boots with yellow leather lining - they resemble both French BMJA-65 boots (the overall design of the boot's top) and German Bundeswehr paratrooper's boots. Perhaps, these boots might be manufactured by a contract for the French Gendarmerie, because such type boots were a part of their uniform. Mr. Oscar Velázquez, a member of the Spanish Civil Guard (an organization with the functions similar to the French National Gendarmerie or the Italian Arma dei Carabinieri), has informed me, that the boots with yellow leather lining were called "Botas de Intemperie" (That can be translated as "the boots, exposed to the outdoors" or simply "boots for bad weather") and they were little distributed. Usually they were marked with boot's size in Mondopoint system and the year of manufacture. 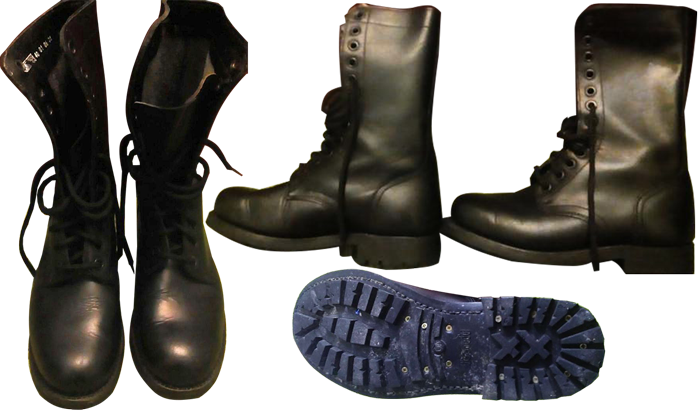 "Imipiel" was manufacturing the boots, which were very similar to the ones, produced by "Segarra", with the same looking boot's top and the out-sole tread pattern. According to the customer's opinion, the quality and durability of the "Imepiel"-made ones was worse, they lasted less and sometimes there were problems with the out-soles adhesion to the boot's top. No wonder, taking into account the information about the company's financial problems, stated above. 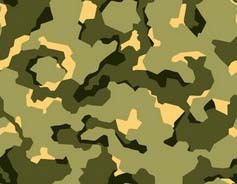 But the Spanish Ministry of Defense had to solve the problem of mass supply of the combat boots to the national Armed Forces. So, they decided to improve the out-soles of the "Imipiel" boots by withdrawing the previous types soles and replacing them with more advanced "Panama"- type soles, having in mind the idea to fix the problem of the out-soles separating from the boot's top. Mr. Oscar Velázquez also informed me, that most boots were manufactured by such Spanish manufacturers as "ITURRI", "VIDAL", "SEGARRA" and "IMEPIEL". In the period from 1986 (year of joining NATO after the national referendum and the appropriate political decision of the year 1982) to 2010 these boots were called "Botas Instruction" (i.e. "boots for training"). 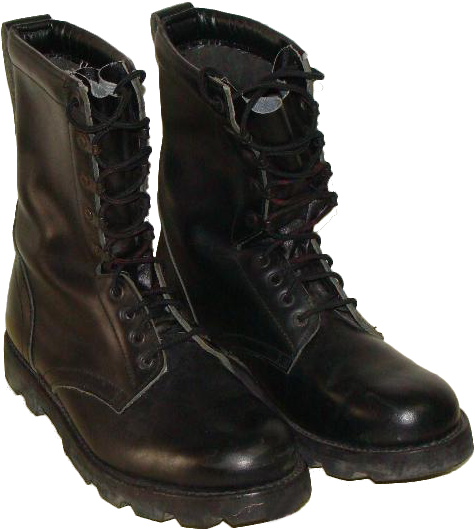 These black boots had no lining of any kind, they featured "Goodyear" welt construction, four pairs of simple round eyelets in the lower part of lacing and a pair of such eyelets on the top, between them there were four pairs of "MARK" speed-lacing eyelets. The out-sole tread pattern was "Panama" -"ABRAX". Among the boots, provided to the Spanish Armed Forces from 1986 to mid 2000, Mr. Oscar Velázquez mentioned the boots of the "ITURRI" brand, which featured coated textile tongue that used to crush down easily. He used such boots in summer months from June to September for work, since they were not very hot, but these boots appeared to ne quite uncomfortable and needed an insoles. Mr. Oscar Velázquez said, that usually the Spanish soldiers preferred the boots by "VIDAL" and "SEGARRA" to the ones by "ITURRI" and "IMEPIEL" since the latter had harder leather and were less well built. This model in addition to the Armed Forces was used by the National Police Corps and the Civil Guard of Spain. Overall they were very durable but uncomfortable, they were not warm in winter. 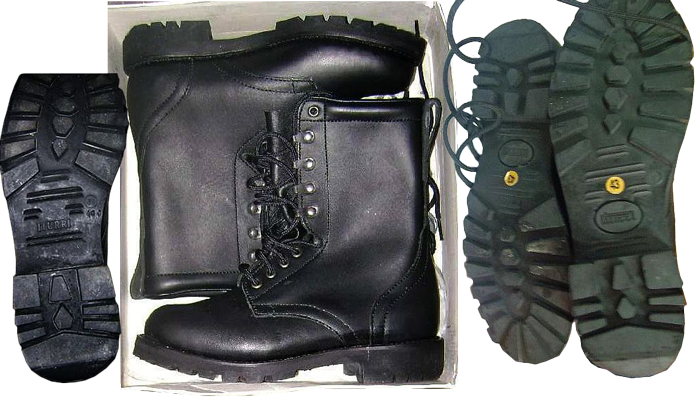 Nowadays the boots of the Armed Forces are of "pistachio" color, the police uses the "Gore-TEX"-lined models, while the Civil Guard from the year 2011 is provided with the boots of another model with "Gore-TEX" lining. These models will be considered in an a separate review further on.